Magnificent Santa Barbara Tuscan style custom home is ''turnkey furnished'' just bring your suitcase! 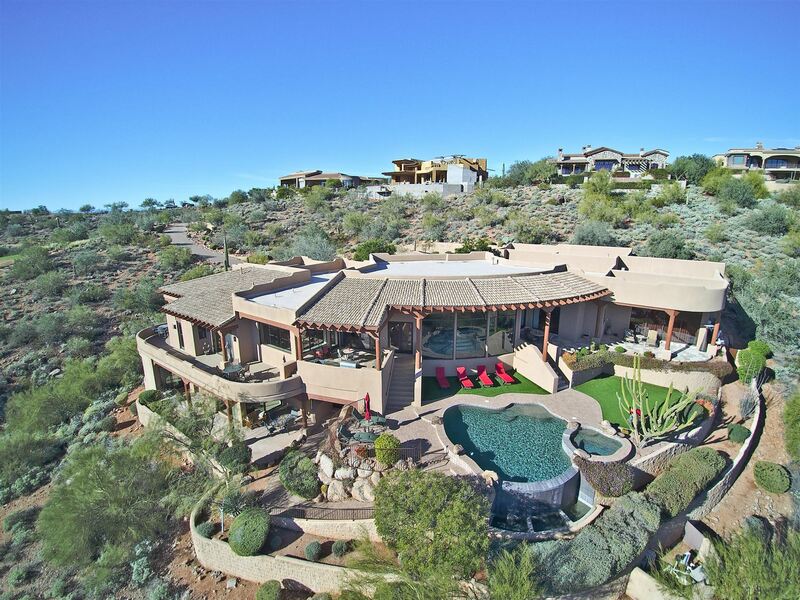 Home sits at the top of Firerock, at 2,000 foot elevation, on 1.66 acres with the most spectacular views of the city lights and surrounding mountains, including Camelback, Four peaks and Red Rock. Every room has views of the surrounding mountains. Enter the home through a beautiful carved Cantera entry, into a domed hallway with an elegant chandelier. Located on the main level is the great room with floor to ceiling Cantera gas fireplace. Gourmet kitchen will delight the chef in the family with 6-burner plus griddle gas cooktop, double ovens, warming drawer and two dishwashers. Formal dining has alcove ceiling, built-in hutch and service bar. I am interested in more information about 9127 N VISTA VERDE Court.